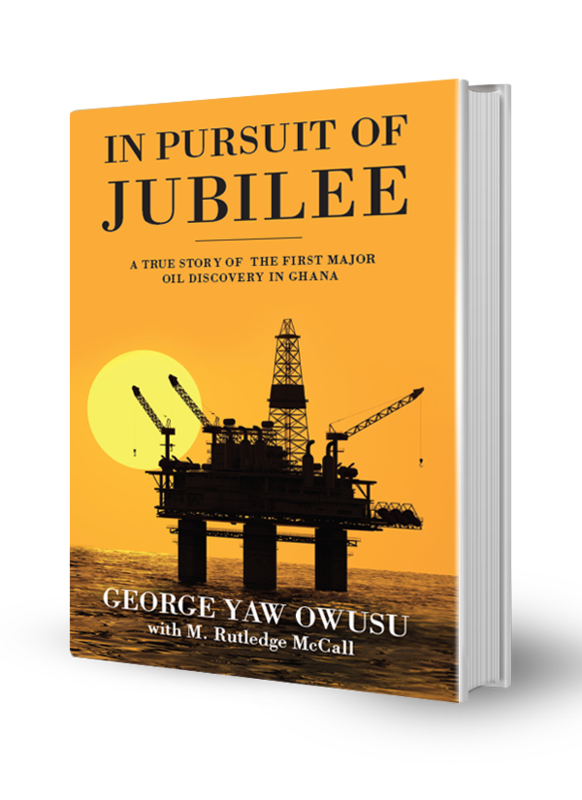 George Yaw Owusu is an environmental scientist who has worked in the petrochemical industry for 27 years. He was a founding partner of EO Group, a company which partnered with Kosmos Energy to discover commercial quantities of oil in Ghana. He served as the country manager for Kosmos for several years. The discovery was featured in the documentary “Big Men” which was directed by Rachel Boynton and produced by the world renowned actor Brad Pitt. Owusu is also the founder of a private equity firm, Mansa Capital which engages in investment of private equity and debt in various projects in the United States and across West Africa. Owusu and his wife Angelina are actively involved in philanthropic endeavors focused on healthcare, education and development in Ghana and in the United States through the George and Angelina Owusu Foundation. M. Rutledge McCall has ghostwritten and substantively edited scores of books for dozens of authors around the world. He has been featured on TV shows such as “NBC Today,” BBC News, PBS, CNN News, “Larry King Live,” KNBC News “Nightside Cover Story,” PBS/KCET’s “Life And Times: Thinkers, Shakers and Newsmakers,” ABC News 9 Australia, and others. His critically-acclaimed book, Slipping Into Darkness, was optioned for film by movie producer David O. Sacks, Co-Founder of PayPal. McCall has served as CEO of an L.A.-based literary career consulting and management firm, and he has been a Senior Managing Editor in the book publishing business. He has also worked in the one-hour drama writers departments for most of the American TV networks and in production management for all of the major US film companies on some of the highest- grossing movies and top Nielsen-rated shows.